Jaipur is the capital city of the Indian state Rajasthan. The city is also known as pink city of India and one of the famous tourist destinations in the northernIndia, attracting thousands of tourists from around the world. The Jaipur city is named after Maharaja Sawai Jai Singh II, the ruler of Amber, and the total population of the city is more than 3.1 million. 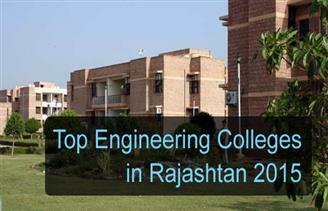 Here in this article we have listed some of the top engineering colleges in the Jaipur district of Rajasthan. The top colleges in Jaipur has been rated on the basis of several factors these include student and faculty ratio, previous year placement of the college, infrastructure etc.